The Crazy in Love singer will take to the stage in Balado Park in Kinross, Scotland, on Saturday July 9. Other performers confirmed to play the event include Arctic Monkeys, Pulp, Plan B and Sir Tom Jones. The performance will come after Beyonce's appearance at this year's Glastonbury Festival where she is headlining the main stage on Sunday June 26. 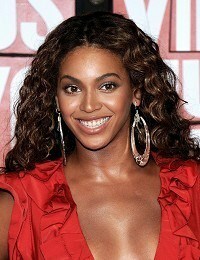 Beyonce, whose husband Jay-Z was the first hip-hop artist to headline Glastonbury when he played the 2008 festival, shot to fame in girl group Destiny's Child.